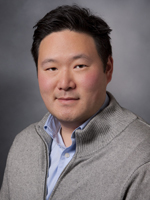 Vincent Liu, MD, MS, is a research scientist at the Kaiser Permanente Northern California Division of Research. His work focuses on the intersection of sepsis, acute severe illness, informatics, and health care delivery with a goal of building towards a learning hospital system. Dr. Liu is board certified in Internal Medicine, Pulmonary Disease, Critical Care Medicine, and Clinical Informatics. He received his undergraduate degree from the University of Pennsylvania and his medical degree from New York University. He completed his residency training at New York University Hospitals (Bellevue) and a chief residency at Memorial Sloan-Kettering Cancer Center. He also completed a pulmonary and critical care medicine fellowship and has master’s degrees in Health Services Research and Biomedical Informatics, both from Stanford University. In addition to his clinical practice and research, Dr. Liu is also the Regional Director of Hospital Advanced Analytics in Kaiser Permanente Northern California. Sepsis is the most common illness leading to hospitalization in the United States, affecting more than 1 million Americans each year. While short-term mortality has improved over prior decades, sepsis survivors face numerous post-hospital sequelae that negatively impact long-term morbidity and mortality. Cardiovascular complications are among the most common reasons for re-hospitalization and death after sepsis, with approximately 1 in 3 severe sepsis patients experiencing a cardiovascular complication in the year after sepsis hospitalization. This project seeks to identify risk factors for post-sepsis cardiovascular risk based on granular inpatient data collected during hospitalization, and identify potential opportunities to reduce post-sepsis cardiovascular risk. Rapid expansions in the use of electronic health record (EHR) systems also contribute to large expansions in the availability of metadata. These highly granular metadata may prove particularly useful for understanding how frontline clinicians interact with clinical information when making diagnostic decisions. This project aims to characterize EHR audit log data and advance nascent understanding of the potential to leverage these to provide novel insights into the diagnostic process, with a focus on time to diagnosis, and ultimately inform the achievement of diagnostic excellence. ​This project is designed to pursue pre-sepsis opportunities to identify patients at high-risk for sepsis and develop risk prediction models to mitigate the impact of impending sepsis by leveraging granular electronic health record data. ​In this study, Kaiser Permanente Northern California researchers will serve as consultants for U.S. Department of Veterans Affairs (VA) researchers to evaluate the utility of template matching techniques, compared with standard regression techniques, for comparing hospital quality. Ideal and optimally efficient use of intensive care unit (ICU) resources would create benefits across the health care system. Ideal use of ICU resources requires a needs assessment to determine which categories of patients commonly admitted to ICUs derive true net benefit on average from ICU admission versus admission to a regular hospital floor. This project aims to conduct such a needs assessment, which has never before been done. Am J Manag Care. 2019 Jan;25(1):18-21. Ann Am Thorac Soc. 2018 Sep 14. Crit Care Med. 2018 Jul;46(7):1196-1197. Crit Care Med. 2018 Apr 30. J Biomed Inform. 2017 Nov 28. Crit Care Med. 2017 Nov;45(11):1946-1947. AACN Adv Crit Care. 2017 Summer;28(2):191-199. JAMA Surg. 2017 May 10:e171032. Hospital Readmissions in Sepsis Survivors: Are They Preventable? Ann Am Thorac Soc. 2017 Feb;14(2):170-171. Am J Respir Crit Care Med. 2016 Dec 15;194(12):1548-1552. Ann Am Thorac Soc. 2015 Sep 23. Ann Am Thorac Soc. 2016 Sep;13(9):1443-5. Am J Respir Crit Care Med. 2016 Aug 1;194(3):252-3. Crit Care. 2014;18(5):496. Epub 2014-09-12. Am J Respir Crit Care Med. 2016 May 31. Aust Crit Care. 2016 May 27. Crit Care Med. 2016 Mar;44(3):639-40. Am J Emerg Med. 2015 Sep;33(9):1305-6. Epub 2014-08-02. Appl Clin Inform. 2015;6(2):318-33. Epub 2015-05-13. Ann Am Thorac Soc. 2015 May;12(5):666-73. Ann Am Thorac Soc. 2014 Jun;11(5):795-6. Crit Care. 2013;17(2):R71. Epub 2013-04-16. Crit Care. 2012;16(5):447. Epub 2012-09-06.